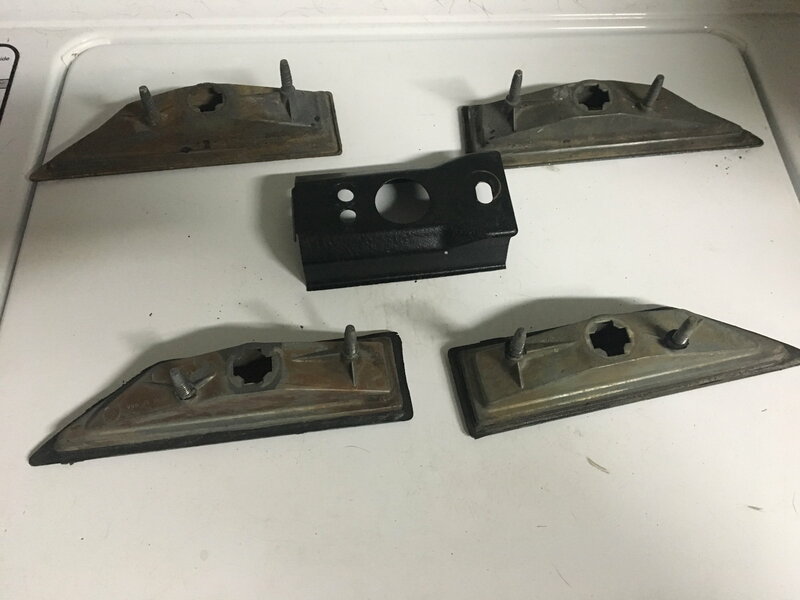 I have all four side markers for 70-71 Cutlass Supreme for sale. 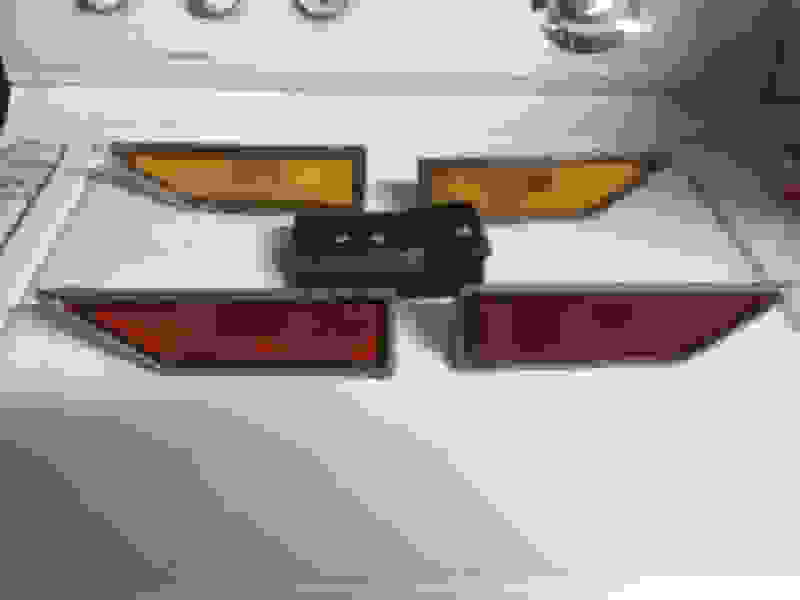 These do not have the chrome bezel around the lens like Cutlass /442 side markers because the Cutlass Supreme trim covers the bezel when mounted. These are in decent shape. The front markers appear to have bondo on the bezel and the left front lens is faded, other then that they are good. Also included is one front retaining bracket. Price is $65 plus shipping. For sale 1970 taillight assembly side markers. Nice 70-72 cutlass parts, P.trunk, AC vents, side markers, clock, hood/trunk lights.